NMSU’s historic Zuhl Museum, now renovated and expanded, officially reopened to the public in October 2017. The museum houses the Zuhl collection of more than 1,800 fossils, minerals and petrified wood. 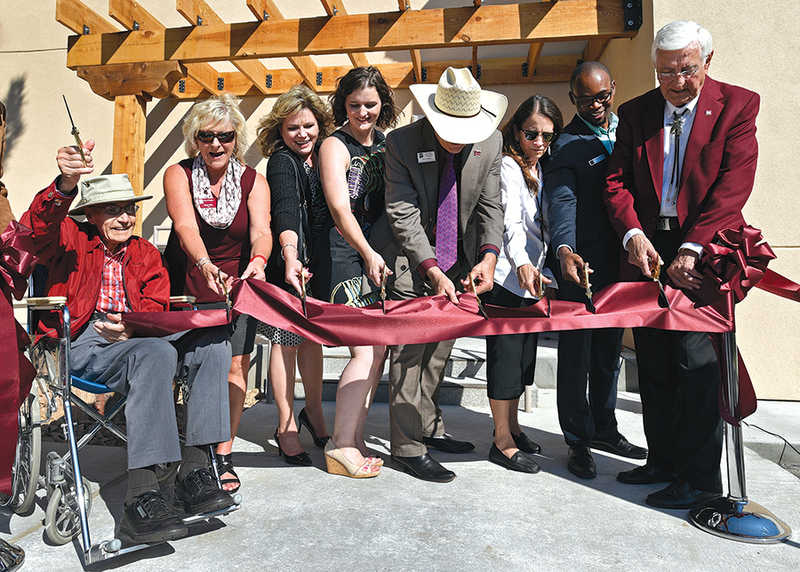 Funded entirely by Herb and Joan Zuhl, the museum was established 13 years ago in a building that had formerly housed the NMSU Police Department. The Zuhls provided $600,000 to fund the expansion of the Zuhl Museum and create a space to house and display more of the collection. NMSU Chancellor Garrey Carruthers thanked Herb Zuhl who attended the ribbon-cutting ceremony. Zuhl also spoke to the crowd, which included about a dozen members of his family who had flown in from around the country. He described the collecting and polishing of the petrified wood as an art. When the Zuhls revealed their plans in 2000 to provide an estimated $3 million to NMSU from their estate, it was the largest single gift NMSU had ever received, and the library was named after them where some of the most striking examples of the collection are still on display. In 2016 alone, more than 4,000 visitors signed in at the Zuhl Museum. On average, about 40 tour groups per year view the collection, including frequent school field trips from around the region. 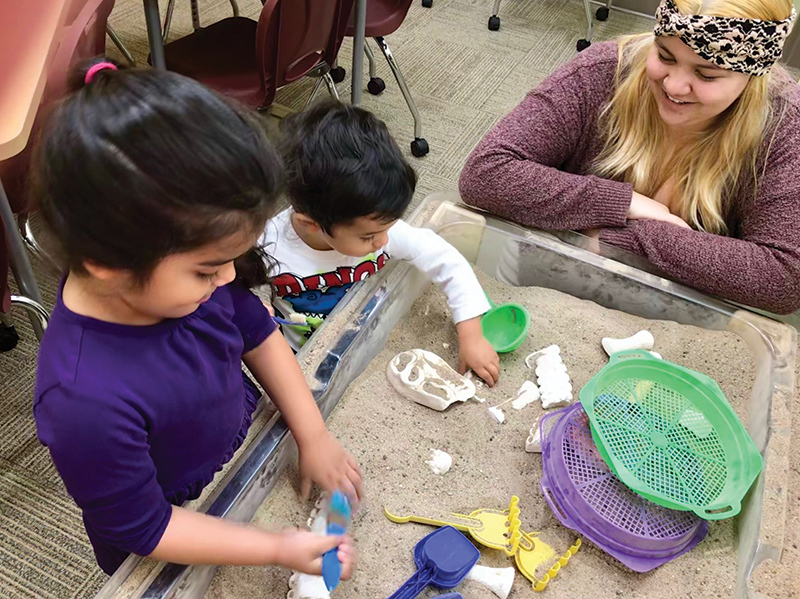 Every second Saturday of the month, the Zuhl Museum invites families for a special event called the “Excavation Pit” where children discover their own dinosaur. The expansion also includes a Kids’ Corner sponsored by Wells Fargo. The Zuhl Museum is open from noon to 4 p.m. Tuesday through Friday and every second Saturday of the month from noon to 5 p.m.
Herb Zuhl, far left, and New Mexico State University Chancellor Garrey Carruthers, far right, led the ribbon-cutting ceremony during the reopening of Zuhl Museum. Between Zuhl and Carruthers from left next to Zuhl is NMSU Board of Regents Chair Debra P. Hicks, Trish Marquez, El Paso Business Banking Manger for Wells Fargo, Tiffany Santos, director of the Zuhl Collection, NMSU Provost Dan Howard, NMSU Board of Regents Secretary/Treasurer Jerean Hutchinson and Courage Idemudia, Southwest District Manager for Wells Fargo Bank. Two young "excavators" enjoy digging for dinosaurs in the Zuhl Museum's new Kids' Corner sponsored by Wells Fargo.